And just like that, 25 drawers of fun beauty treats have all been opened. Once again, I’ve thoroughly enjoyed the calendar, and whilst I’m sure I’ll deliberate about whether I buy again in 2017, I’m already looking forward what Liberty comes up with again next year. I’m a sucker for miniatures, what can I say. Day twenty-two – Surratt Artisique Blush in Ponceau. It’s quite an orangey blush, so I’m not sure it’ll suit me (but then I said that about the Nars blush from 2014 and it looked ok). I’ll give it a go! Day twenty-three – Espa Overnight Hydration Therapy. I love a good overnight mask. The previous two years have featured an Espa cleanser, so I’m pleased to try something different from them. Day twenty-four – Le Labo Santal 33. Hurrah, a unisex scent – Husband is so pleased. This one is a lovely warm scent and smells great on him. It’s even more special as they’ve put “Happy Christmas” on the bottle – adorable. Day twenty-five – Diptyque Figuier candle. 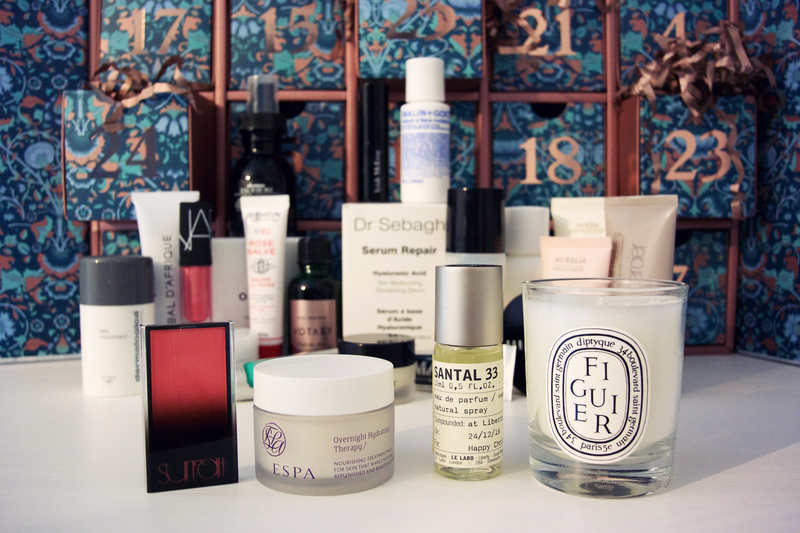 I don’t think Liberty will ever deviate from having a Diptyque on day 25. Very classic, very elegant, but a little migraine inducing for me so I might pass this on to my Mum. 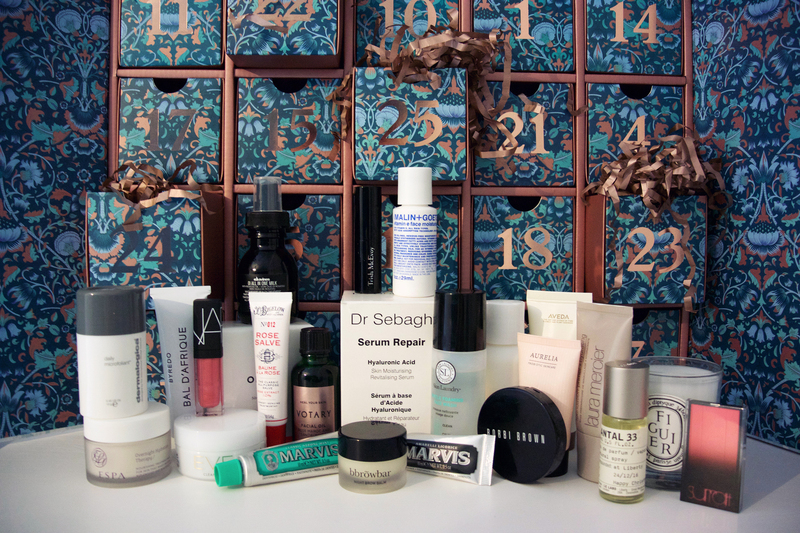 Liberty had some really great products on their Beauty Advent Calendar this year (not all of them pictured, as some of them have been used up already!). My love for the Liberty beauty hall is eternal and unwavering!